TEF-2018 cordially invites you to the 2nd Technical Seminar on 12th March 2018 (5. 30 PM) @ Al Seif Ball Room, Safir Hotel, Fintas. 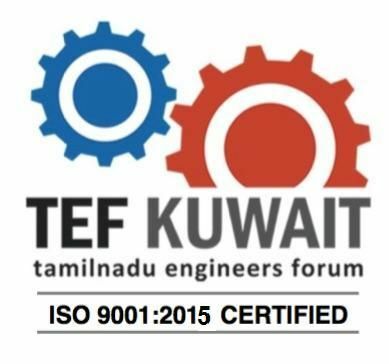 M/s OMICRON Electronics Middle East, Bahrain and M/s TransW Kuwait will share their expertise on “ Innovative Testing and Diagnostic solutionsin the Electrical Industry”. M/s OMICRON with their strong network of sales partners has made them a market leader in the electrical power industry. M/s TransW, Kuwait has strategic tie-ups with international manufacturers and this enables them to offer the right solutions to the clients in Kuwait in the area of Cathodic Protection, industrial filters, condition monitoring, large electric motors, soft starters, auxiliary power plant accessories, tools and hardware.